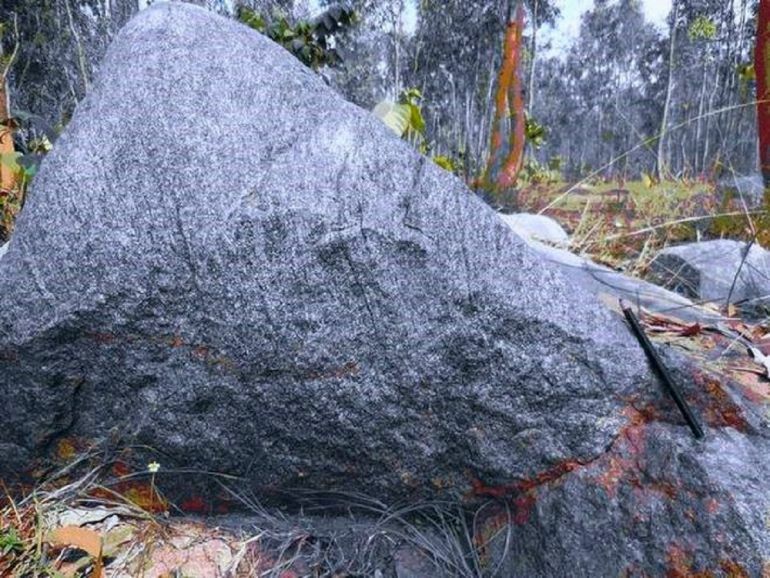 The Granite Gneiss rock has been found near Champua Odisha, India that contains 4240 million 20-year old zircon. Miri – 16 May 2018 - A rock sample recovered nearly eight years ago near Champua, a small town in the Kendujhar district of India’s Odisha State, has revealed a grain of magmatic zircon (a mineral that contains traces of radioactive isotopes) that is estimated to be 4,240 million years old – a discovery that offers fresh clues about the Earth’s origins. The discovery was made by geologists from Curtin University Malaysia (Curtin Malaysia) and the University of Calcutta, India along with researchers from the Chinese Academy of Geological Sciences in Beijing. A research paper on the remarkable find has been recently published in the Scientific Reports, an online multidisciplinary, open access journal from the publishers of Nature. Associate Professor Dr. Rajat Mazumder, a geologist in the Department of Applied Geology at Curtin Malaysia and the corresponding author of the paper, and Trisrota Chaudhuri, a Ph.D scholar with the University of Calcutta who is also associated with the Geological Survey of India (GSI), has spent years researching what are known as the Singhbhum rocks of Odisha. Associate Professor Mazumder said that the only instance of zircon older than this discovery was the one found in Jack Hill, Western Australia, which was 4,400 million years old and is the oldest known mineral on earth. However, the Western Australian zircon occurs in metamorphosed sedimentary rock, unlike the Singhbhum one, which was formed from magma and occurs in a metamorphosed igneous rock. “Thus, the Singhbhum zircon represents the second oldest rock from which it was derived and the zircon itself is the oldest magmatic zircon on earth,” Associate Professor Mazumder said. Associate Professor Mazumder and Ms. Chaudhuri studied the rock samples at the Geological Studies Unit of the Indian Statistical Institute, Kolkata. The isotopic analysis was a big challenge, however, and having approached many laboratories in Australia, Canada, Germany and the United States without success, they finally turned to the Chinese Academy of Geological Sciences for assistance. “The machine used is called the Sensitive High Resolution Ion Microprobe (SHRIMP). It is not available in India. Dr. Yusheng Wan, a senior researcher with the Beijing SHRIMP Centre at the Chinese Academy of Geological Sciences in Beijing, agreed to analyse only four samples on a collaboration basis,” Associate Professor Mazumder said. According to Associate Professor Mazumder, the analyses confirmed the presence of two zircon grains that were 4,240 million and 4,030 million years old. “The study of these zircons will add valuable information about the presence of water in the first few hundred million years of the Earth’s history. It will also give us more clues to when plate tectonics began, adding to the speculation stemming from the Jack Hill zircons of Western Australia,” Associate Professor Mazumder said. He added that the study suggests that the Earth’s primitive crust was mafic (rich in iron and magnesium). 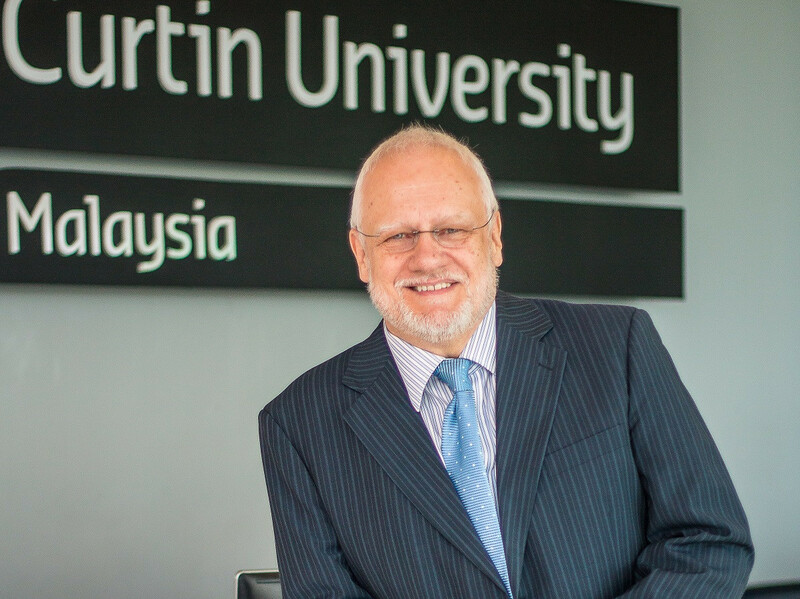 Professor Mienczakowski remarked that academics in Curtin Malaysia’s Department of Applied Geology are increasingly at the forefront of geological studies and research, exploring and documenting geological features throughout Malaysia and in other countries. The Department of Applied Geology aims to be a nationally and internationally recognised leader in geoscience education through innovative teaching, research achievements and services. It provides students with good scientific knowledge to enable them to explore the Earth’s resources and apply scientific and engineering knowledge to societal problems. Curtin Malaysia offers Curtin University’s Bachelor of Science (Applied Geology), a 3-year degree course accredited by the Australian Institute of Mining and Metallurgy, Australian Institute of Geoscientists and Geological Society of Australia International Association of Hydrogeologists.